The 2018 Red Bull Knock Out was the final round of World Enduro Super Series and would be a huge part in crowning the overall series champion. 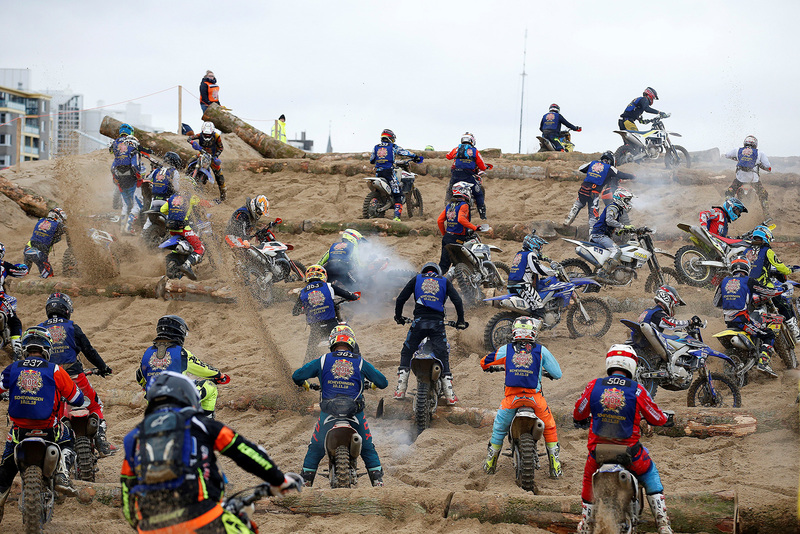 The iconic beach race held in the Netherlands had over one thousand participants and at times was complete chaos for everyone involved . 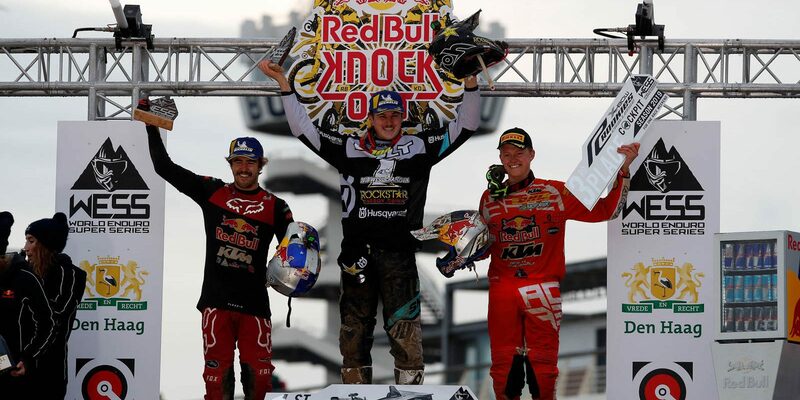 Rockstar Energy Husqvarna Factory rider Billy Bolt claimed the top step of the championship podium ahead of Germany’s Manuel Lettenbichler (KTM) and Red Bull KTM Factory Racing’s Nathan Watson (KTM – GBR). 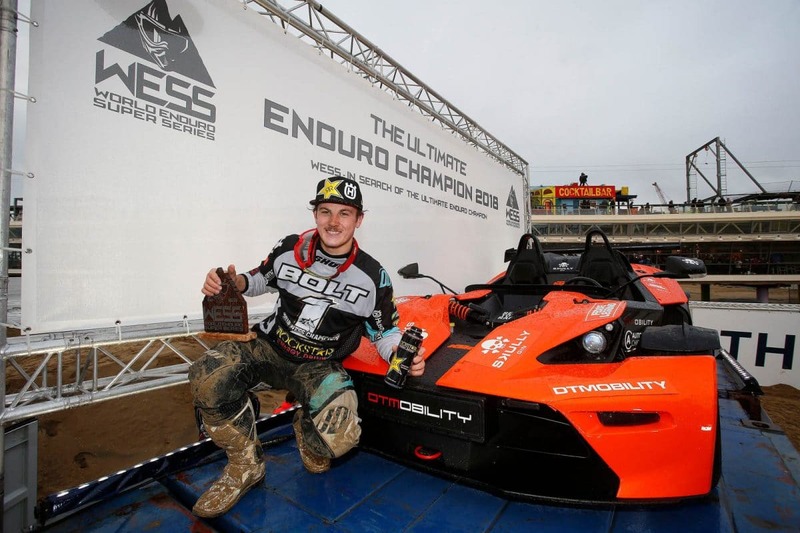 With series winner Bolt well-known for his Hard Enduro skills, runner-up Lettenbichler the championship’s best placed privateer and third placed Watson a motocross turned enduro racer, the final WESS podium well-reflected the championship’s diversity and enduro spirit. 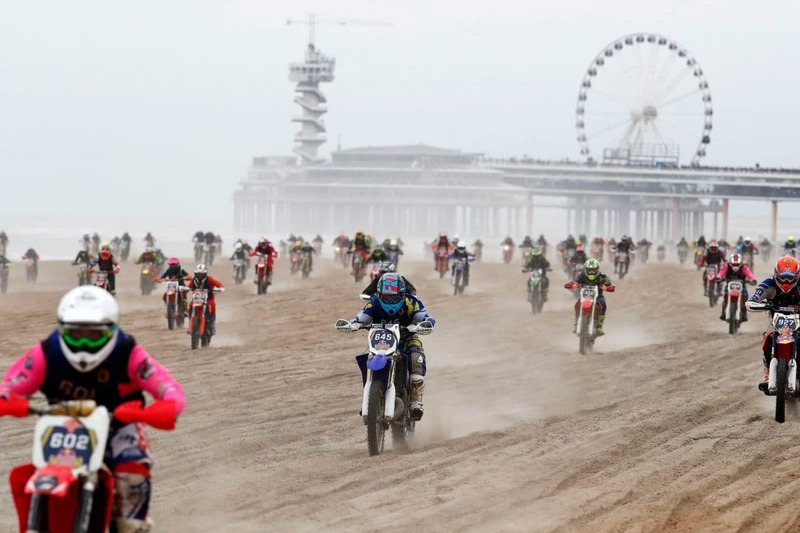 In what was the sixth edition of the Dutch Beach Race, Watson stormed his way to a debut win on the Scheveningen shoreline, taking victory over home favourite Glenn Coldenhoff (KTM) and Belgium’s Yentel Martens (Husqvarna). After seven rounds of Hard Enduro, Classic Enduro and Cross-Country racing, the first season of the multi-discipline Enduro series drew to a spectacular and action-packed close at the infamous Red Bull Knock Out Beach Race. With 1000 competitors taking to the start line for the one-hour morning qualifier – won by Watson – 750 riders earned their place in the two-hour Final. Eager to impress in front of his home crowd, Coldenhoff set the early race pace, with Watson, Martens, Camille Chapeliere (KTM – FRA) and Britain’s Todd Kellet (Husqvarna) in tow. During the opening half of the race, Coldenhoff set a blisteringly fast pace and appeared to have all under control. However, the opening of the extreme X-Loop for the final hour dramatically changed the flow of the race and Watson – putting his Enduro skills to good use – fought his way into the lead. Continuing his fast pace during the final laps, and with the track at his roughest, Watson stormed ahead to claim a 90-second margin of victory over Coldenhoff, with Martens coming through for third. In the battle at the head of the World Enduro Super Series, all eyes were on title contenders Bolt and Lettenbichler, who were inside the top 20 of the 750 competitors. Positioning themselves out of trouble early on, the duo were closely matched with Bolt holding an important advantage. However, two crashes by Bolt put him on the back foot during the closing stages of the race. Needing a lap to regroup he began to make headway, using the technical X-Loop to his advantage. Pushing clear of Lettenbichler and working his way up to 12th, the Husqvarna rider crossed the finish line as the newly-crowned ULTIMATE ENDURO CHAMPION. Despite giving his best effort, Lettenbichler was unable to get the better of Bolt in the deep Dutch sand, finishing a creditable 15th to take the runner-up result in the 2018 World Enduro Super Series. 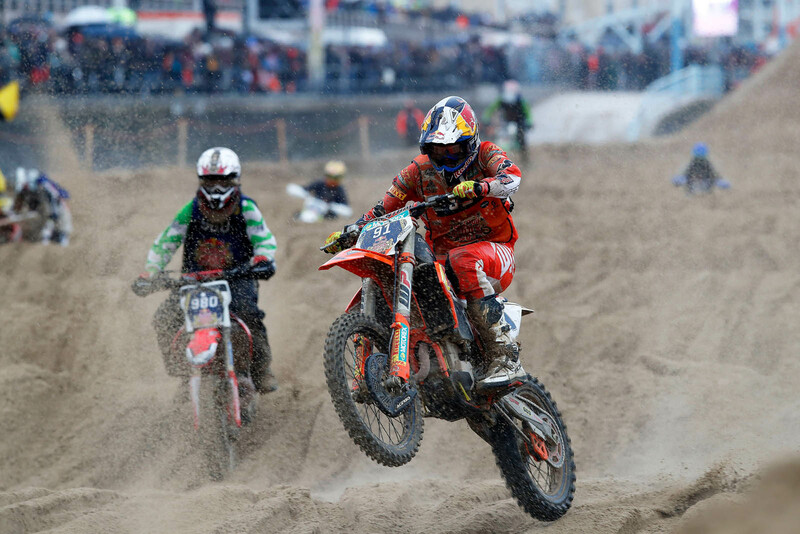 In the fight for the final step of the championship podium, Watson’s round eight victory saw him leap past teammate Josep Garcia (KTM – ESP) – who placed 16th – to secure third overall.